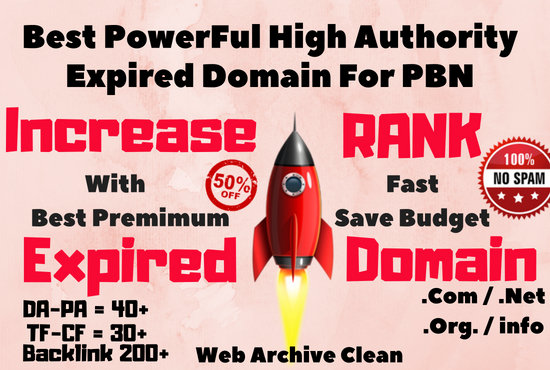 I Will Find SEO Friendly High Metrics Expired Domains No Spam With Good Quality Natural Backlinks 200+ Thats Saves Your Times To Rank Quickly On Google. You Can Use Adsense or PBN. 100% Satisfaction With Super Fast Delivery With in 24 Hours or Refund Guarantee.